Any way you look at it there are a tremendous number of American consumers filing for bankruptcy right now. Recent figures show that about one million consumers filed for bankruptcy relief in just the first nine months this year. That’s a lot of consumers getting a fresh new financial start. However, this number is slightly lower compared with the number of filers from the same period last year when there were 1.1 million bankruptcy filings. Here, in the Eastern District of New York, there were 15,882 bankruptcy filings in the first eight months of last year. Yet, so far this year, there have been 15,607 bankruptcy filings. 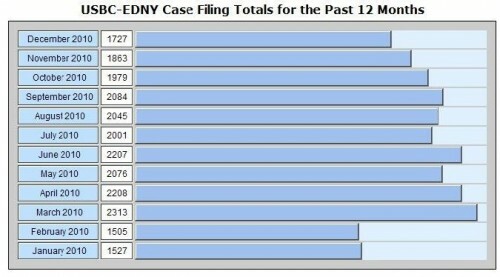 In my Long Island bankruptcy law practice, we are still extremely busy, but I’ve noticed a slight drop in the number of cases we’ve been filing the past few months. Do Fewer Bankruptcy Filings Mean the Economy Is Improving? Unfortunately, the answer is no. We are still in the midst of an economic slump. It appears that many consumers are merely putting off the inevitable. I have come up with seven reasons why bankruptcy filings have decreased. Why Have the Number of Bankruptcy Filings Dropped Slightly From Last Year? 1. 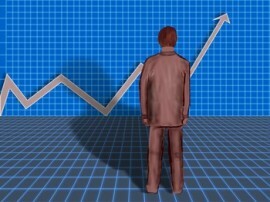 As a result of the recession consumers are tightening their wallets and pocketbooks and spending less. Data from a recent Gallup poll revealed that consumers were spending significantly less per month in stores than they were previously. Consequently, they may be charging less and getting into less debt. As Federal Reserve Chairman Ben Barnake commented before Congress this week, consumer behavior both reflects and contributes to the slow pace of recovery. 2. Banks have tightened their lending criteria these past two years. For years, banks gave out credit cards like crazy to consumers. It used to be that you asked for a credit card and you got one. Banks would give our credit cards with a reckless disregard for the consumer’s ability to pay. However, with banks tightening credit, there are fewer credit card accounts that consumers are defaulting on. 3. Many consumers who have been victims of the recession have already filed for bankruptcy relief in the past two years. During this time, there were about three million bankruptcy filings. 4. Some consumers who have really hit bottom are having difficulty coming up with the bankruptcy legal fees and filing fees — a cost that has increased greatly since Congress changed the bankruptcy laws six years ago. Bankruptcy filings sometimes increase as a recession is ending since consumers who have been out of work have finally gotten new jobs and now want to get their finances in order. 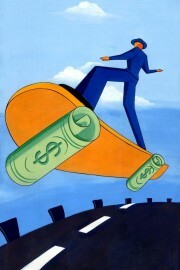 Bankruptcy provides a fresh new financial start that can go hand-in-hand with a new job. 5. For a good part of the past year, mortgage lenders put the brakes on the foreclosure process, which was rampant with defective foreclosure suits and shoddy work done by foreclosure law firms. As a result, there have been fewer foreclosures and hence fewer bankruptcy filings to stop them. For example, New Forelosure Law in New York Requires Attorneys to Verify Foreclosure Papers . However, now that mortgage lenders have begun getting their papers in order, we are in for a new round of foreclosures, which will certainly lead to an increase in real-estate-related bankruptcy filings. 6. Many consumers previously filed for Chapter 7 bankruptcy relief during the past decade. Under the current bankruptcy laws, a consumer must wait eight years from the date of a previous Chapter 7 filing before being eligible to file for Chapter 7 relief again. see Filing Second Bankruptcy is Simple as 2 – 4 – 6 – 8 . There were about ten million filings during the past years which is a lot of consumers who are ineligible right now to file for Chapter 7 bankruptcy relief, even if they need to. I have many clients who wait it out until they are able to file again. 7. The government has extended the period of unemployment benefits. Consumers often exhaust all of their other remedies before seeking bankruptcy relief, even when it is not in their best interest to do so. 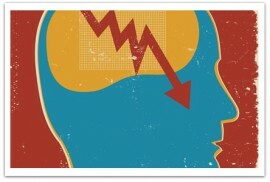 However, when the benefits run out, bankruptcy often becomes a necessity. In January of this year I wrote that Professor Bob Lawless of the University of Illinois College of Law predicted that bankruptcy filings may decrease slightly this year. See: A Million and a Half Bankruptcy Filings in 2011? As it turned out, he was right. The United States Trustee Program began auditing consumer bankruptcy cases in October 2006 to further ensure that debtors were properly disclosing accurate information in their bankruptcy petitions pursuant to BAPCPA — supposedly to promote the integrity and efficiency of the bankruptcy system. I discussed the auditing concept in great detail in my post Random Audits of Consumer Debtors to Begin in October . The same statute also requires the Attorney General to issue a yearly report of the audit results. There were 2,675 audits in 2010. Out of these, there were 1,395 random audits and 1,280 targeted audits. I discussed the different types of audits in my prior post: Random Audits of Consumer Debtors to Begin in October . The law provides for conducting one random audit per 1,000 filed bankruptcy cases. However, the U.S. Trustee program ran out of funding. Since 2008 and continuing through 2010, there was only enough money to conduct one random audit per 250 filed cases. Of all of the 2,675 audits, there were 584 cases in which there was a material misstatement, representing 23% of the cases. These figures have remained consistent for the past three years. The overall average for the Eastern District of New York was 21%, meaning that Long Islanders are slightly more honest or accurate than the rest of the country, or that Long Island bankruptcy attorneys do a better job in preparing their petitions. I’d like to think that it’s the latter. Of the 1,395 random audits conducted last year, one of them was performed on one of my clients. We cooperated with the auditors (an accounting firm) by providing a number of documents from a rather lengthy list. Several weeks later we received a copy of a letter that they sent to the U.S. Trustee indicating that there were no material misstatements in that case. Nevertheless, one of the trial attorneys in the local U.S.T. office requested an explanation of something, which we quickly provided, and the case was then closed. A Million and a Half Bankruptcy Filings in 2011? How many bankruptcy filings will there be this year? According to Professor Bob Lawless of the University of Illinois College of Law, there will be 1,457,787 cases this year. He made this projection based on a fairly simple model that uses monthly data from the past five years, as well as various other data on consumer credit, the unemployment rate, cyclical monthly effects. In a recent CreditSlips.org blog post, Prof. Lawless provided his findings which he illustrated with the above graph. The solid black line shows the actual bankruptcy filings from last year. The dotted red line shows what the model would have predicted for 2010, while the solid red line shows the models projections for 2011. What are the Most Popular Months for Filing Petitions? Bankruptcy filings often spike in February and March and decline in November and December. Prof. Lawless also predicts that there will be a downward trend, albeit slight, for several reasons. The linear trend is indicated on the chart with the dotted black line. 1. 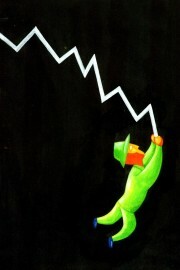 Many economists expect unemployment to decline. Those who are working are in a better position to handle their finances. 2. There are some signs that access to consumer credit is easing up slightly. This means that some consumers will be able to borrow more easily to avoid bankruptcy. 3. Consumers are not charging as much as they previously did. This means that some consumers may have less debt and that other options may be more appealing than bankruptcy. Consumers with debt problems filed 1.53 million bankruptcy petitions last year according to recent data. This represents a nine percent increase over 2009, reflecting on the need for Americans to utilize bankruptcy protection to resolve their financial debt problems, which are in large part attributable to the recession, national financial crisis and overall weak economy. This high number of filings represents the most bankruptcy proceedings we’ve seen since the two million figure in 2005 when consumers rushed to file before a stricter set of new bankruptcy laws took effect. Even though the new bankruptcy laws were supposed to reduce the number of filings, that has not been the case. Half a year ago I wrote a an article about More Chapter 7 Cases Being Filed Nationally — New Trend . This year there were a total of 23535 bankruptcy cases filed in the Eastern District of New York, which includes the bankruptcy courts in Central Islip and Brooklyn. The cases filed this year in the E.D.N.Y. represent an increase of about four percent over last year, when there were 22670 cases filed. Here’s a chart of the bankruptcy filings for 2010, month-by-month for the Eastern District of New York. You will notice that there was a big jump from February to March 2010 that remained somewhat constant for the rest of the year. That is likely because many consumers are inundated with credit card bills after the New Year and also make a New Years Resolution to resolve their debt problems by filing for bankruptcy. In addition, the typical time a consumer bankruptcy case takes for the attorney to prepare and file is at least several weeks, so the typical consumer who hires a bankruptcy attorney around this time of year will see their petition filed towards March. Consumer bankruptcy filings are heading to record levels since the bankruptcy laws were changed five years ago. According to recent nationwide data, about 1.3 million bankruptcy cases have been filed in the fist ten months of this year. Last year, there were 1.2 million bankruptcy filings in the same period. At this rate, we will likely see about 1.6 million filings by the end of the year. The year with the highest number of filings was 2005 when consumers rushed to file their bankruptcy petitions before the new bankruptcy laws went into effect. In that year there were about 2.0 million filings. The recession and difficult financial times are the main contributors to the large number of filings. The trend is also continuing that a larger percentage of consumers ar filing for Chapter 7 bankruptcy relief, rather than Chapter 13. Currently, about 30% of nationwide filings are Chapter 7. See my post: More Chapter 7 Cases Being Filed Nationally — New Trend. Recent figures reveal that more and more consumers are electing to file Chapter 7 bankruptcy petitions as opposed to Chapter 13. This is contrary to what creditors expected when they lobbied Congress to toughen the bankruptcy laws. When the new laws went into effect in 2005, creditors anticipated that many consumers would fail the means test and be forced to file a payment plan bankruptcy under Chapter 13, whereas before the new laws, consumers could have easily filed for Chapter 7 relief and simply discharged most debts without having to make any payments at all. In April 2010, only 25% of all bankruptcy filings across the country were Chapter 13 cases. This is down from February 2010, when 29% of all cases were Chapter 13, and February 2009, when the it was 31%, and January 2009 when it was 33%. For most of 2006 and 2007, Chapter 13s averaged about 38% of all bankruptcy filings. These figures contrast sharply from those when the new laws went into effect in 2005. 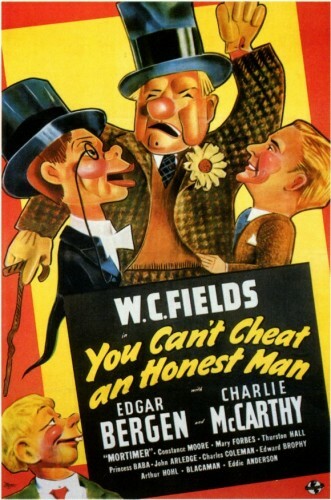 Initially, only one in three filed for Chapter 7; now three out of four prefer Chapter 7. 3) they simply cannot make their mortgage payments in a world where overtime is being eliminated, unemployment is a fear or reality, increased tax burdens loom as states and localities can’t make ends meet, and many other costs remain high (gas, health care, etc.). Many people had these realizations in 2008, and many more had them in 2009. Each year, the share of chapter 13 filings plummeted. And all this, despite BAPCPA’s purported intent of driving up chapter 13 filings and making people pay more of their debts. Incidentally, those states with the highest concentration of Chapter 13 filings are in the South. Louisiana had the highest concentration — 56% of cases were Chapter 13 — and South Dakota, Iowa and New Mexico had the lowest percentage of Chapter 13 cases — all under 10%. The number of cases filed nationwide in April was 145,000, which was about the same number as last year. Nationwide, filings to date this year reveal that 1 out of every 225 households has sought bankruptcy relief have sought bankruptcy during the first four months of 2010. I just saw the figures that confirmed what we all knew. There was a tremendous increase in bankruptcy filings in 2009 over 2008 according to figures just released today from the Administrative Office of the U.S. Courts. Thus, there has been nothing to stop the flood of consumers seeking bankruptcy relief. That certainly applies to consumers on Long Island. In calendar year 2009 there were a total of 1,473,675 bankruptcy filings in this country. This represents an increase of 32% over 2008, during which time there were 1,447,641 filings. Of the 1.4 million bankruptcy cases filed last year, 96% of them were filed by consumers. The filing statistics reveal an interesting trend. 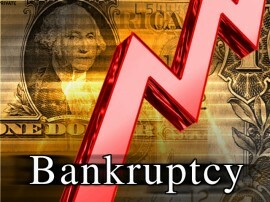 More and more consumers are filing Chapter 7 bankruptcy as opposed to Chapter 13. In 2008, Chapter 7 cases represented 67% of all consumer filings. However, last year, the percentage grew to 71%. The percentage of consumers filing under chapter 7 has increased each year since the bankruptcy laws were overhauled by BAPCPA in October 2005. In our district, for the period ending Septermber 2008, there were a total of 20,508 filings. This broke down as follows: 16,790 Chapter 7 cases, 247 Chapter 11 cases, and 3,469 Chapter 13 cases. Bankruptcy filings are up across the country and Long Island is no exception. Newsday ran a story about this on Thursday, January 21, 2010 and quoted me. The article was written by Newsday reporter Emi Endo. Amid continuing job losses and a housing market slump, more Long Islanders have been heading into bankruptcy proceedings, according to court data. In November, 806 residents filed for bankruptcy protection, an 11.9 percent increase over November 2008. In all of 2008 more than 7,500 cases were filed in Central Islip. From January through November of last year, there were 9,200. Woodbury bankruptcy attorney Craig Robins said his firm has seen an increase in the number of formerly well-paid professionals who were either laid off or took major pay cuts. “What we’re seeing now is many executives and individuals who were earning well into the six figures needing bankruptcy relief,” he said. Also growing, Robins said, was the number of “homeowners whose homes are underwater” and who owe more on their mortgages than the properties are worth, a difference sometimes as much as $100,000. 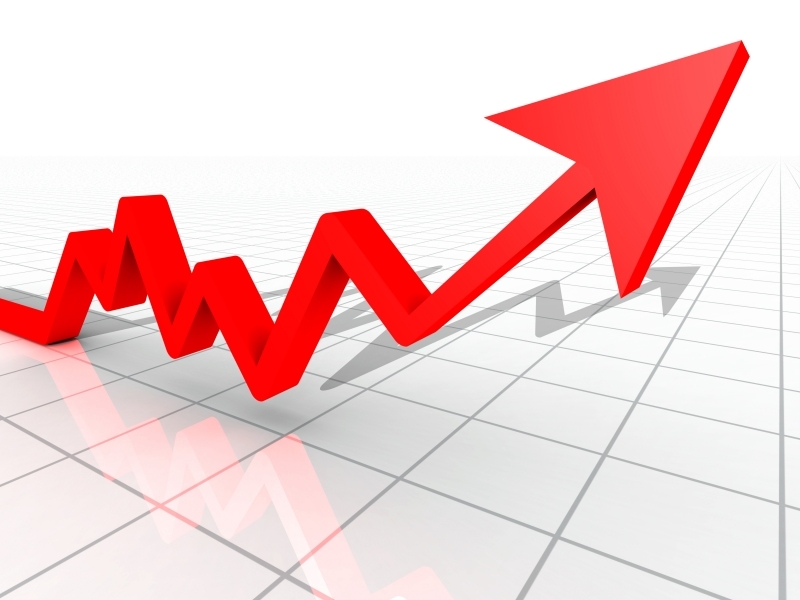 Newsday periodically tracks economic indicators in this Long Island Economic Snapshot. Among other economic indicators, home sales did go up in November – but so, too, did initial foreclosure filings. The number of homes sold in November was up 49.3 percent over the same month a year ago, as reported by the Multiple Listing Service of Long Island. Last month I wondered: Is the Stock Market a Barometer for Consumer Bankruptcy Filings? In exploring this concept further, I came across “the Misery Index” which is an economic indicator created by economist Arthur Oken in the 1960s. It is the sum of the unemployment rate and inflation at any given time. Since it is assumed that both a higher rate of unemployment and a worsening of inflation create economic and social costs for a country, the higher the index, the greater the misery the country is facing. A recent New York Times Economix Blog post discussed the Misery Index and commented that pairing these two indicators made sense not only because both are economic phenomena that hurt regular people, but also because efforts to reduce unemployment can elevate inflation, and vice versa. Today there are large numbers of bankruptcy filings; however, the inflation rate is rather low. Thus, this Misery Index does not predict bankruptcy, nor does it necessarily predict the misery of the average middle-class American. What we need is a different Misery Index. It appears that some economists have come up with a “New Economic Misery Index which includes five sectors that show financial pain for Americans: Bankruptcy, Credit Access, Employment, Housing and Food Stamps. Today, we have a more insidious version of economic crisis than what the old Misery Test measured. This is not necessarily what is good for the average American. In other words, the stock market may be going up, but Americans are still losing jobs and suffering. We therefore need to add a few more indicators to a new misery index. The new five indicators are probably the best way to gauge the state of our economy. Economists looking at these figures see that despite the activity on Wall Street, there is really very little recovery. And that is what the typical middle-class American who comes to my office for a bankruptcy consultation can attest to. Is the Stock Market a Barometer for Consumer Bankruptcy Filings? After reading a recent New York Times article about stock market jitters caused by worried consumers, I wondered if the stock market indexes could be used as a barometer to predict future personal bankruptcy filings. After all, we have often heard that the fear on Wall Street is that nervous consumers can short-circuit the country’s economic recovery, which is just starting to pick up, despite the fact that consumer bankruptcy filings continue in very high numbers. When consumer sentiment falls significantly short of expectations, which is what happened towards the end of the summer (before a slight rebound), it was a sign that consumers were cutting back on their spending as they worried about layoffs. With unemployment approaching ten percent, many consumers are growing increasingly concerned about losing their jobs, assuming they still have them. Job loss is one of the major reasons why consumers file for bankruptcy help. I see this daily in my Long Island bankruptcy practice, meeting one person or another who has lost a job, lost the ability to work overtime, or has a family member who was laid off. 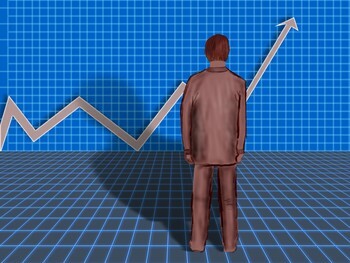 Although the stock market is indeed rebounding, I would conclude that the ebbs in the stock market have a rebound effect and lead to increased consumer bankruptcy filings several months (or even years) later, as consumers face job loss or the effects of reduced income.